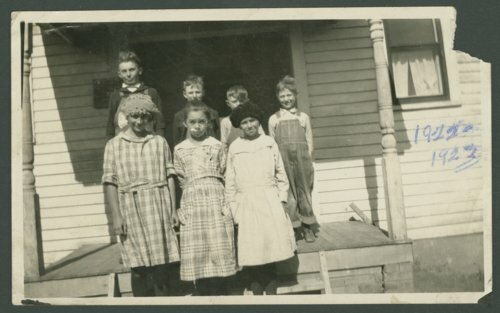 Photographs of students at Limestone School, district 66 in Stanton Township, Ottawa County, Kansas. Also pictured is a school souvenir listing the teacher, pupils, and school board. On the front of the school souvenir is a photograph of Etta Beck. This was her first teaching position.